Mo’ Cookies Mod is dedicated to those how have helped me on my journey to 100 subs. 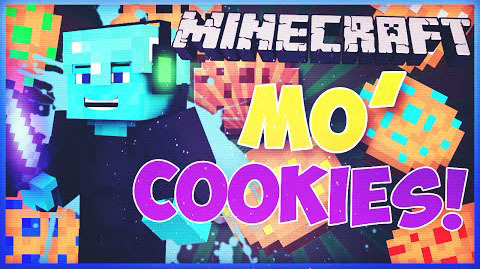 Basically, this mod add a variety of different Cookies, and also a very mysterious golden bucket. Now it adds Cookie Armour, Tools, Weapons, Dimensions and Mobs.